The new 2013 Honda Accord has been revealed and with that Honda America has put out an interesting infographic. 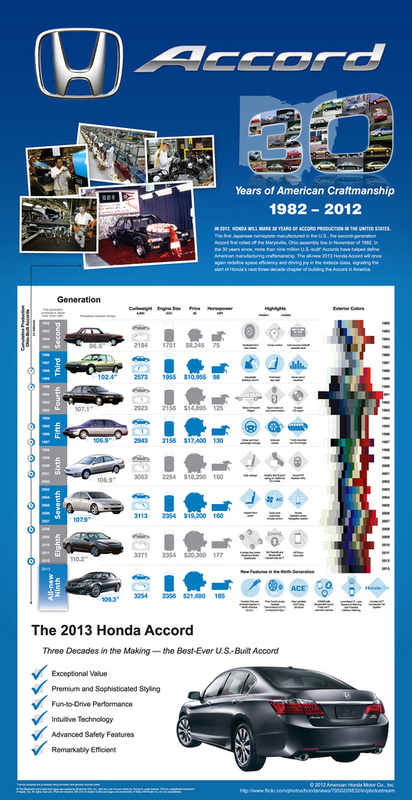 This infographic shows how much the Honda Accord has changed over the years and what you can expect from the new model. 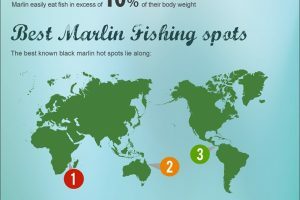 The design for this infographic is great because it has a nice title and header which clearly introduce the information. It also uses a large chart to show the different models of the Honda accord. I like that they included an image of each of the models as well as all of the key features that had. The colors that were used worked well with each other especially the white on the blue background helped to make sure the information stood out. The information was interesting and great for anyone who is interested in cars especially the Honda accord. The progression of the accord through the years was the best part as well as seeing the price of cars in the past. I appreciate that the infographic shows when key features came out like when heated seats were installed and airbags. It is hard to believe that cars didn’t always have these things that we take for granted today. 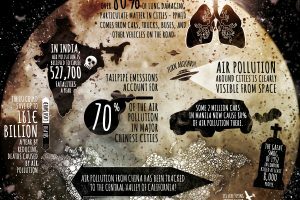 The original Infographic can be found on Flickr or on Cool Infogrpahics. If you want to read more about the making of this infographic then check out InfoNewt here.